We had company from out of town, sister-in-law and brother -in-law, yesterday. It was also my oldest sons birthday this week,so we had a big dinner. 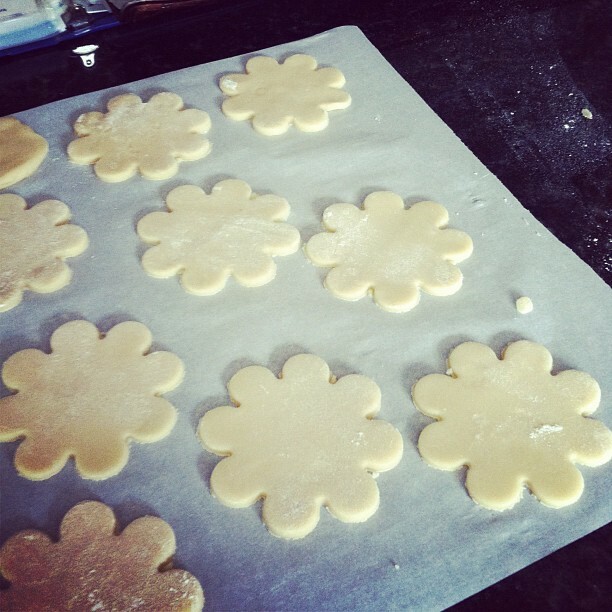 My sister-in-law loves sugar cookies so I made the daisies for her.For the peanut butter cups , I melted chocolate chips, poured a spoonful in each mini muffin cup, that have the mini liners in them, topped that with a small chunk of the peanut butter mixture. Then one more spoon of chocolate on top. They are wonderful ! Mix all these ingredients in your mixer. 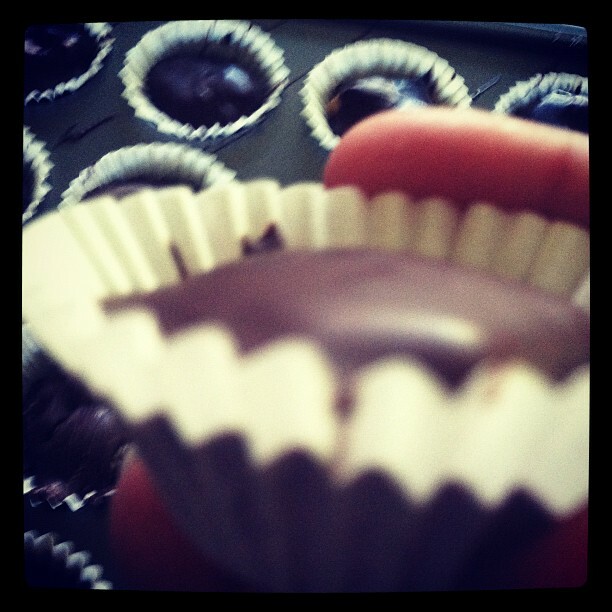 I then make little discs out of the peanut butter mixture so when you are filling the mini muffin cups its easier. I also put about a tsp. of crisco solid shortening in with the chocolate chips when melting.When they are assembled let them dry..I then store mine in zip loc bags.We had a great dinner..birthday cake and these treats! Thanks for stopping by ! Oh my goodness, so those ever look good!!! The daisies are adorable!!!! YUM!!! I love chocolate and peanut butter. I will definitely be trying these! 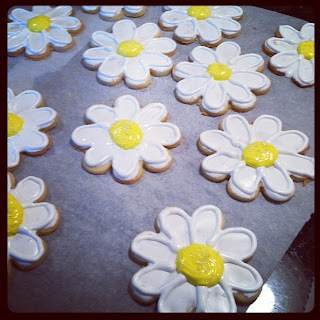 Your daisies are beautiful, maybe too nice to eat! Every time you do a baking post, I think I gain 5 pound, Priscilla--everything looks fantastic!! Those are some of the prettiest cookies and peanut butter cups! Can't get any better than that!